First of all, breadfruit is a new super-fruit. 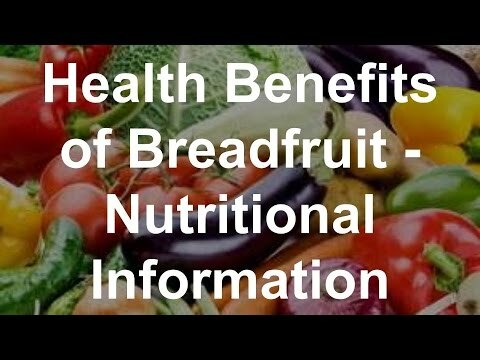 And in addition, healthy breadfruit nutrition can alleviate world hunger. However, breadfruit may have a very different role in saving lives. The breadfruit has three chemicals produced in the male inflorescence. And as a result, these chemicals are extremely effective at repelling flying insects.The healthy breadfruit repels Mosquitoes. Sub-tropical areas grow breadfruit. And it is a popular food for many Pacific islands. Ulu is another name for the breadfruit. From the Pacific Islands, cultivation has spread to the Caribbean and Africa. And in addition, subsistence farmers grow the breadfruit. The breadfruit has the Latin name Artocarpus altilis. And the name is derived from the Greek, artos meaning bread, karpos meaning fruit and altilis meaning fat. Furthermore, healthy breadfruit nutrition requires cooking the fruit. Cooked, the breadfruit has a starchy texture and tastes just like bread. First of all, there are different ways to prepare breadfruit for healthy breadfruit nutrition. You can boil, roast or steam the breadfruit. Another alternative in the preparation method involves fermenting the breadfruit. Therefore putting the fruit in a hole lined with banana leaves and leaving it there to ferment. Once fermented the breadfruit is similar to sour dough. Then bake the fruit for healthy breadfruit nutrition. The breadfruit tree is used in construction and is especially relevant for many ecological and environmental uses. The breadfruit tree benefits the provision of habitat for pollinators. And in addition, benefits seed dispersers and CO2 reduction. And the Islanders call it the tree of life which is most noteworthy. You have to dry and burn the breadfruit flowers. This repels flying insects. And in addition, there are three compounds in breadfruit male flowers. These compounds effectively repel insects. Capric, undecanoic and lauric acids are saturated fatty acids. And these fatty acids are especially relevant in repelling insects than DEET. DEET is an active ingredient in insect repellent. Consequently, the repellent properties of the breadfruit has been known for centuries. And the breadfruit repels mosquitoes. It has been used by many indigenous peoples of Pacific islands. Burning the male flowers will repel flying insects. Furthermore, the breadfruit has been a low-cost insect repellent to those in subtropical areas. These subtropical areas do not have access to expensive pharmaceutical repellents. And they can’t afford to buy the repellents. Healthy Breadfruit Nutrition for the Poor. Selling breadfruit at a local market in Kingstown, Saint Vincent and the Grenadines. Healthy Breadfruit Nutrition may be a solution to world hunger. The breadfruit tree grows easily in a broad range of subtropical and tropical ecological conditions. And the breadfruit is full of nutrition. And as a result, the breadfruit tree requires minimal fertilizers and labor. The areas in which the breadfruit tree thrives coincide with the world’s poorest and malnourished populations. Due to its healthy production, breadfruit tree yields are superior. Root and tuber crops don’t compare to the nutrition filled breadfruit. And in addition, one tree can produce up to 400-600 fruit. Breadfruit is also high in nutrition, carbohydrates, dietary fibres and minerals. In conclusion, organisations are working to promote the cultivation of breadfruit. This will be in areas most in need of nutrition. Furthermore, Hawaii will plant breadfruit trees in areas most in need of healthy nutrition. Every time they plant one of these trees, they reduce famine and starvation. Healthy breadfruit nutrition can feed a-lot of poor people. Finally the breadfruit is the food of the future. The healthy breadfruit can feed villages and give nutrition to the poor.